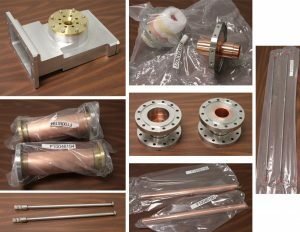 Copper plating doesn’t provide a sufficiently reproducible coating. Copper flakes, which can detach from this layer, are harmful to the superconducting cavity. The copper layer increases the thermal conductivity of the stainless steel outer conductor and increases the heat flow to the cavity. This reduces the efficiency of the system. The copper layer has a low residual-resistance ratio (RRR). This increases ohmic losses, deposits additional heat into the superconducting cavity, and reduces system efficiency. 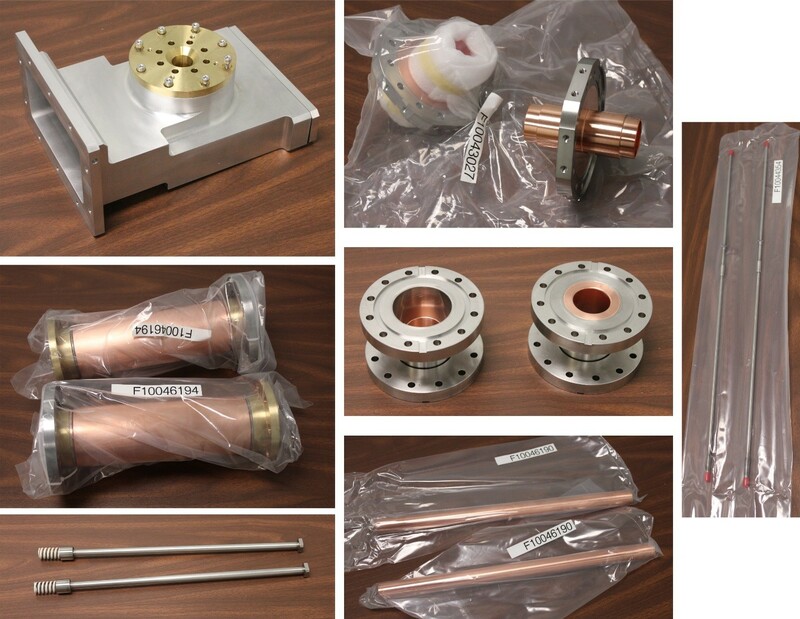 Fermilab’s low heat leak coupler uses solid copper shields instead of plated copper, which eliminates any possibility of copper flakes fouling the SRF cavity. The coupler is comprised of two chambers with very low electromagnetic fields, making the losses in even uncoated stainless steel negligible. Most of the RF current flows on the copper shields. Because the copper shields are made of solid copper, the RRR is very high and ohmic losses are smaller than in the case of plated copper. The use of cryo-coolers instead of giant helium liquefaction plants to cool Superconducting Radio Frequency (SRF) accelerators dramatically simplifies industrial SRF accelerators, but the overall cryogenic load must be modest. One significant contributor to the heat load is the main RF power coupler. The Compact SRF Accelerator uses Fermilab’s low heat leak coupler, which has an ultra-low cryogenic load of less than 1 W to 4K when operated at 250 kW RF power.